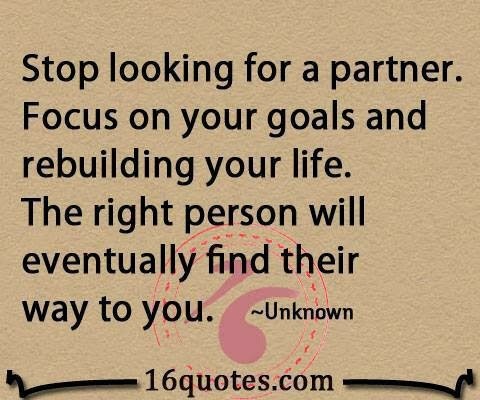 If you happen to be single or divorced and considering getting married in the future, please pay close attention to these next few words. Marriage isn't something to be played around with and its a commitment for a lifetime. If you aren't sure that this man or woman is the one you want to spend the rest of your life with, read these words very carefully. Don't do it! Also if you aren't , prepared to say, feel or act like a husband or wife, do yourself a favor and don't even consider it. Why? Because its easier to separate as a couple then it is to get a divorce and most divorces take a lot out of people. Not only finically, but physically, mentally and if children are involved it could hurt them for a lifetime. Most people loose themselves during this process and are never the same again. Some divorces are so nasty that the people involved, become bitter enemies and never want to see or talk too each other again. If you don't believe me ask someone who has been married and are now getting a divorce. Then you will know how really serious it is when it comes to a marriage. That is why I encourage men and women of all ages to think about this very real commitment seriously. Because its really a big deal and its not like a relationship! Why? Because you can walk away from a relationship and with a marriage lawyers must get involved. Marriage isn't ordinary and neither is the experiences both shall share while they are together. My father used to always tell me when I brought a young lady home with love in my eyes, That marriage is for married people and son if you aren't really serious about this young lady do her or yourself a favor. Don't even think about it! What he meant by this is that marriage is a real commitment and who you were before the marriage came to be has to or will change. Saying I do, is one of the greatest or most special statement a man or woman could every say to each other. In other words its saying , Out of all the people in the world I chose this person to be with for the rest of my life. Some people may think that these are mere words, when in fact when two people are married, they are not only connected mentally, but also spiritually and the longer they are together, the more connected they become. After time married people experience things that single people that are in common law marriages or relationships that have lasted over 10 years never face. For those who may argue that these two types of relationships face some of the same things or battles that married people do. I would answer them by saying yes they do, but without a real commitment to each other. Its very easy to walk away from a relationship, but harder to get a divorce. 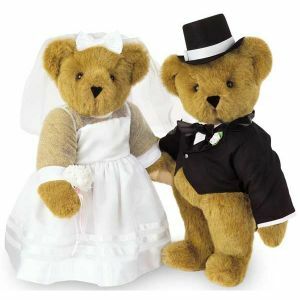 Its something special or spiritual about saying I do and then being a husband or wife. That gold band on a married person fingers means something. It means they belong to someone and have made a commitment for a lifetime. Yes many can say I love you, but when you combine love and marriage together, it becomes extraordinary. No ordinary love like a relationship, because marriage is a real commitment and anyone who consider or think about doing so, should take their time before they do. Write in , then express your thoughts or opinions on the subject. Charles you are so right about this.It's sad when childrens are involved in a bitter divorce or breakup. I went through a semi bitter divorced,but my girls understand more now then they did when we first separeted.we both as parents came to an agreement when it comes to my girls. And I did say MY, because (he only provide child support.He's not so active in their lives. )but we remanins as friends because of them.someone really needs to read this.maybe it will help them to go on with life,without the bitterness.Blessings to you Charles.MERRY CHRISTMAS!! You are very right Ms. Prince! I have been divorced and I know how it feels to be in a marriage where, the spouse is only concerned about their own feelings or needs. When two become one, their previous children become their children, everything they own before belongs to the marriage. Two selfish independent people should never marry, because it will only end up in a divorce. When a marriage fails, both fail and when it succeeds both should take credit for it, because it takes two. Any man or woman that forgets about their children during a divorce or marriage should have their head checked or examined, because its not their fault that the marriage failed or is in trouble. Everything we do as adults our children will emulate in the future, so each of us should be careful while we are married and especially while we are going through a divorce.